As anyone who may own a dog knows, selecting the right dog grooming brush can be a difficult task if you don’t know what you’re looking for. Lucky for you, this simple guide will provide you with all the necessary information you need to ensure you pick out the right brush for your dog. Once you know what to look for, there are some of the best dog grooming brushes rrecommendations that are sure to fit the needs of both you and your dog! Inspect frequently. Discontinue use if damaged. The Chirpy Pets Dog and Cat Brush for Shedding is capable of removing up to 90% of shedding fur from your dog in just minutes by simply combing over your dog’s coat with the brush. With a complete guarantee behind the product, the Chirpy Pets Dog and Cat Brush for Shedding comes with a one-year warranty and a 60-day money back guarantee if you are not happy at any time. The quality in the Chirpy Pets Dog and Cat Brush for Shedding is nearly unmatched as it features four-inch stainless steel, which is not sharp and will not hurt your dog. The PRO Quality Dog Brush is one of the easiest to use slicker brushes on the market and is the perfect size for use on medium to large sized dogs. One of the unique features of The PRO Quality Dog Brush is it’s easy cleaning feature. With the click of a button, the bristles retract into the brush and allow you to wipe away any dog fur that was collected simply. Additionally, a special ergonomically designed handle ensures maximum comfort whenever you use it. The PRO Quality Dog Brush is designed specifically to be easy on your dog’s skin to help reduce any irritation while still providing great results. In addition to being easy on your dog’s skin, The PRO Quality Dog Brush is guaranteed to tackle the thickest double coats and tangles while leaving your dog’s coat soft and shiny. 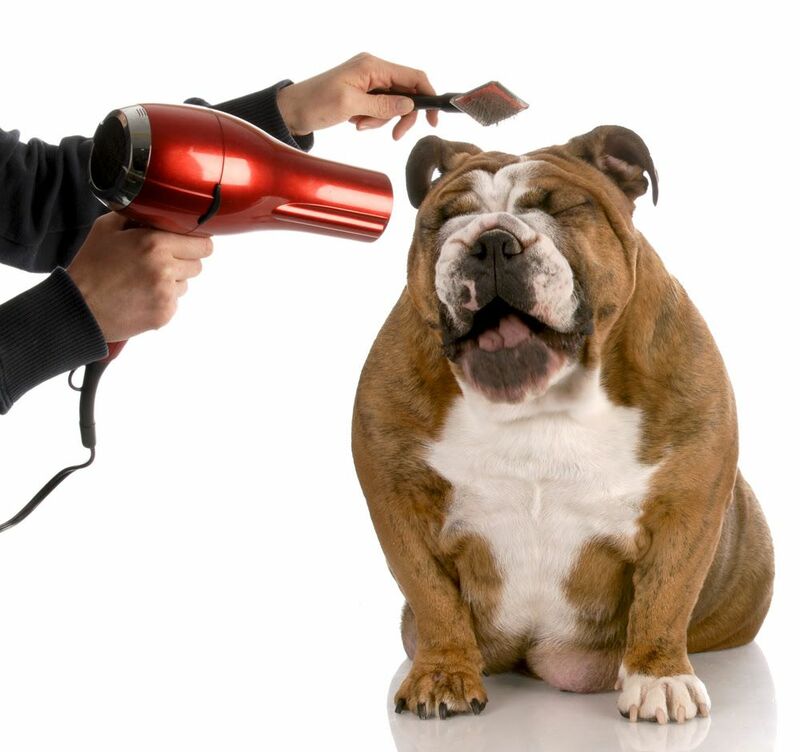 It comes with a 5-year unconditional 100% money-back guarantee and also includes an ebook that provides tips and tricks for dog grooming. The Safari Self-Cleaning Slicker Brush is a dog grooming brush that comes in three different sizes, so no matter what size dog you may have, this brush will work for you. This brush features stainless steel bristles that gently, yet effectively, remove dead hair, mats and tangles from your dog’s coats. When you’re finished, the bristles retract into the brush to provide simple cleaning after each use. The Safari Self-Cleaning Slicker Brush works on all types of dog coats, is ideal for everyday use and provides high-quality grooming results with minimal effort and cost. Therefore, the stainless steel bristles measure about 3/8" and are strong enough to remove the hair from your dog, but are also soft enough to not hurt your dog in the process. The Chris Christensen Oval Pin Brush is one of the simplest pin brushes on the market, but also helps effectively get the job done. The pins on the brush are made of a high-quality stainless steel and features ground and polished tips that are the smoothest available. The brush also features a lightweight, solid beech wood body with an easy grip handle. Simply, t can easily become a bonding experience for both you and your dog. The Kong ZoomGroom is one of the unique brushes available for purchase on the market. It does not have any bristles or anything else that resembles the teeth of a comb. The Kong ZoomGroom is a silicone like product that automatically attracts hair. With ridges on the back of the handheld brush, the device can be used dry to help remove hair, stimulate capillaries and natural oil production. Also, the Kong ZoomGroom can be used to apply shampoo on your dog and lather it deep into their coats. The Kong ZoomGroom comes in two different sizes, so whether you have a puppy or a large dog, you can always find the right size brush. If you use this brush regularly, you can effectively reduce shedding in your dog and help limit the number of trips you make to the groomer. The FurBuddy Pet Grooming Brush Kit is one of the best all-inclusive dog grooming kits on the market and it helps provide a solution to any problem that may arise while grooming your dog. The kit features a deshedding rake, a slicker brush, and a bristle-pin brush, so you’re ready to tackle any situation. This kit is designed for small, medium or large dogs and can handle thin, medium or thick coats as well. The FurBuddy Pet Grooming Brush Kit helps eliminate tangles and mats in your dog’s hair as well as ensuring a soft, shiny finish every time you use it. The slicker brush can be used to remove tangles and dead hair. The deShedding rake has sharp double-sided blades that also help remove mats and knots without damaging the coat. Lastly, the bristle pin brush helps remove loose hair and tangles. The FurBuddy Pet Grooming Brush Kit is also backed by a 100% money-back guarantee, so if you aren’t happy for any reason, you can send your item back for a full refund. Bristle brushes are one of the few brushes that can be used on all different types of coats, which makes it ideal for just about everyone. While bristle brushes work on all dog types, it’s recommended that longer bristles with more spacing between the bristles should be used on dogs with thicker and longer coats. The durability and stiffness of the bristles should also factor into your decision. Wire-pin brushes are highly recommended for dogs with medium to long coats and it is perfect for any dog with wooly or curly coats, as this specific brush can get through those coats. Wire-pin brushes come with and without rubber-tipped ends, so make sure you’re choosing the right one. Slicker brushes work very similar to the Wire-pin brushes, except for the fact that Slicker brushes have fine wire bristles that can be used to remove mats and tangles from any dog’s coat. Dog grooming brushes have multiple different uses, but the main purpose of them is to help owners take the first step in grooming their dog. When using a dog grooming brush, make sure you’re taking great care in doing so. Always be gentle and remember that it could be a painful experience for your dog. Always make sure you’re moving slowly enough and be gentle if you come across any tangles in your dog’s coat. ​However, make sure you’re buying the proper brush for the dog you own. To help choose the right brush, I recommend six products above for whichever dog you may have. As you can tell by reading the guide above and focusing on the six different product reviews discussed, there are a lot of different dog grooming brushes on the market and finding the right one can be a challenge. Whether you’re looking for a bristle brush, a wire-pin brush or a slicker brush, the products discussed above can help you find the right brush. As with any product for your pet, it’s important to find one that fits your needs and the dog’s needs. No matter if you have a small, medium or large dog with a thick or thin coat, at least one of the products mentioned above will provide you with a dog grooming brush to meet all your needs.